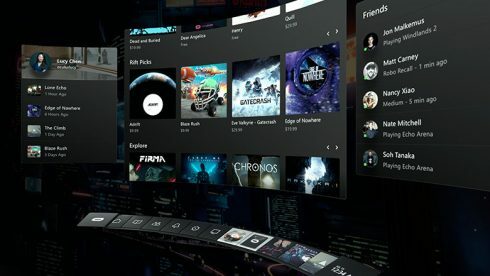 Oculus revealed it is trying to merge traditional PC apps and VR together with a new experimental technology. The company made the announcement at its Oculus Connect 5 (OC5) event in San Jose this week. According to the company, Hybrid Apps will help developers migrate traditional desktop apps to virtual reality and leverage Dash’s virtual desktop technology to make the transition between 2D and VR easier. “We’re excited to see what developers create using Hybrid Apps. It’s early days, and this is just a glimpse of where Dash—and Rift—can go,” the company wrote in a blog post. Other developer features announced at the event included mobile support for Rift, Core 2.0 is coming out of beta, updates to Oculus Home, the ability to create custom developer items, and improvements and refinements to Dash. Sauce Labs announced it will now support XCUITest and Espresso to help developers simplify continuous testing for their mobile app developments. “As developers write functional tests, they tend to prefer testing frameworks that are embedded in their development tools so they can maximize their efficiency and velocity,” said Lubos Parobek, vice president of product at Sauce Labs. “Sauce Labs is excited to support iOS developers and Android developers with the addition of XCUITest and Espresso to our service.” With Sauce Labs Continuous Testing Cloud, developers can scale automation quickly and effectively, creating robust and reusable code to keep pace with CI/CD while improving the quality of mobile apps developed via test automation. Data teamwork and collaboration platform data.world announced a $12 million investment from Workday Ventures, the Associated Press and OurCrowd, bringing the company’s total amount of funding to $45.3 million since 2016. The company is known for its collaborative data community, which provides users with the ability to find, understand and use data. The latest investment will go towards advancing its collaborative data resource. GitHub is releasing a new tool to help teachers set up courses on GitHub. GitHub Classroom is able to automatically create student repositories and enable teachers to track assignments from the dashboard. However, GitHub says this can become complicated when teachers have dozens or hundreds of students. Instead of having to cloud each repository, the newly announced Classroom Assistant enables teachers to download all repositories for their course. This is a cross-platform desktop app available for Windows, Mac and Linux.